Surrounded by rolling hills, sunny valleys and well-kept farms, Beeton is a small community-minded town established by farming settlers in 1836. Beeton is located just North of Toronto in Ontario’s scenic Simcoe County, and has a population of just under 4000 people. Formerly named Clarkesville, the town received its current name in 1878, after the town’s then post-master, D.A. Jones, who had made revolutionary advances in the practice of beekeeping. Being English in origin, D.A. Jones condensed the name “bee-town” into the more British-sounding Beeton. It has been considered part of the Town of New Tecumseth since 1991, along with the nearby villages of Alliston and Tottenham, and is readily accessible by Highway 400 or GoTrain. Although a mere shadow of it’s former glory, Beeton’s Main Street, still features the ambiance and architecture of the1800s, with the convenience of modern shopping options as well. With a history of farming and agriculture, home-buyers in Beeton will find large, well-kept lots and many mature trees. An average family home in Beeton can be found for as low as $250k, while some of the municipality’s larger houses and properties reach upwards of $500k. Beeton is a smaller community, with an attractive historic downtown core, where older buildings reminiscent of the boom town era still remain, and newer businesses flourish. Many inviting homes can be found close to Beeton’s downtown area along Main Street, though buying a home here may be slightly more expensive. A 1.5 acre lot in Beeton’s core area goes for $450-600k. 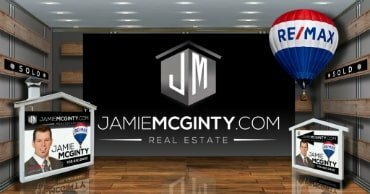 A bungalow or 2-storey home in the more rural areas fetches $250-400k, depending on lot size and condition. In days gone by, Beeton had long been a center of manufacturing and was known for honey production, lumber, flour and wool production and knitting mills. It served as an agricultural hub for the nearby communities of Alliston and Tottenham, as well as the city of Toronto nearby to the south. While agriculture still plays a dominant role in Beeton’s economy, another major employer for the area is a Honda auto manufacturing facility with three factories in nearby Alliston. For elementary school children in Beeton will attend either Tecumseth Beeton Elementary School, or Monsignor J. E. Ronan Catholic School. Secondary education is obtained through busing to either St. Thomas Aquinas in Tottenham, or Banting Memorial High School in Alliston. Beeton is home to three old churches. Of particular importance is St. Paul’s Anglican Church, where the town’s beekeeping postmaster is buried. In the cemetery across from the church, a plaque commemorates the lifelong contributions of David Allanson Jones, world-famous apiarist. Well-maintained trees in the cemetery yard and around the town stand as a living memorial of his life and work. Beeton’s other two churches also feature interesting architecture. Visitors may remark on the Trinity United Church’s heavy buttressing, and St. Andrew’s Presbyterian Church’s large mural painting. The Beeton Memorial Arena and Community Centre is Beeton’s main recreational facility, providing the area with a hockey rink and various recreational capabilities. There is also a nationally ranked golf course located to the East of Beeton, the Club at Bond Head. This golf club offers 36 holes of golf, as well as a restaurant and business meeting facilities. Just outside of town is a small, but extremely well maintained 9 hole golf course “The Ponderosa”, a favourite of short game players. Beeton’s downtown culture is centered around Main Street, where there are many spots to get together with friends. A local favorite is the Whistle Stop Restaurant. Visitors to Beetoncan find accommodations at the Country Victorian Bridal Inn or the Beeton Bed and Breakfast. A small branch of the Canadian Legion oversees local veteran’s cares and concerns. Beeton’s Honey and Garden festival is an important annual heritage event which pays tribute to the town’s history of agriculture and beekeeping. The event closes down Beeton’s main street for one day each spring, making room for over 150 vendors as well as demonstrations ranging from bee keepers to dance groups. Events like a historic car show and a guided horse-drawn wagon tour of the community ground the festival in Beeton’s rich history and have something interesting to teach to tourists and residents alike. The festival can be traced back to D.A. Jones, whose honey farming techniques inspire the town to this day – some of the town’s older residents still call their home “bee-town”. The annual Honey and Garden Festival is a fun and informative community event for everyone in the general Beeton area. The Meet Your Neighbour Annual Picnic is a long standing community event designed for all to come out and enjoy this hometown celebration of good games, good food, and good company. The Annual Beeton Fall Fair is another important agricultural gathering for the area’s many farmers. Held in the Beeton Agricultural Fairgrounds, the fair was first held in 1856. 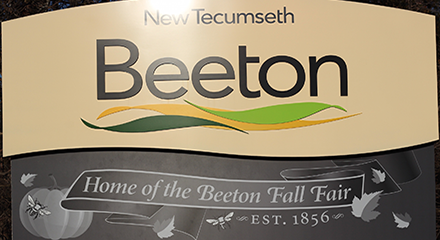 Celebrating its 150th year in 2006, the Beeton Fall Fair is one of the longest-running community fairs of its kind in Canada. The Fair consists of arts and crafts activities, business and agricultural displays, crop and livestock competitions, a horse show, quilt competition and car show. Beeton’s annual Santa Claus parade is always a delight to young and old alike. Considered a focal point of historical interest this was one of the first libraries to be established in the region in 1886. It was restored after the Great Fire of Beeton which swept through the town in 1892, destroying much of its business district and fostering a strong sense of community as Beeton’s residents banded together to restore their town. Not open to the public at present the Scott General Store located at the east end of town, was birthplace to Kate (Scott) Aitken, authoress of Canada’s most famously used cookbook. Always coy about her birth date, it was sometime around 1891 and she passed after a long and exciting career in 1971. An avid advocate of women’s place in society, Kate Aitken was a staunch supporter to those who were victims of World War II, left to contend with a husbandless, or handicapped vetran’s home. Her long running radio broadcast “Now Here’s Mrs A”, kept audiences delighted and informed of the day to day trials of post war living, and offered hints for thrift and economy to those living on the restricted incomes resulting from it. Authoress of many life genre novels, “Mrs A” was also noted for her work infounding the Women’s Institute, her role as World War II correspondent, as well as her role as beauty advisor to Queen Elizabeth II, attending both the royal wedding and coronation. Dominating main street is the Old Town Hall and Opera House, which now houses the Tottenham Times Newspaper and print shop. Once the pride of the township, this stunning heritage building features an eye-catching façade, reflecting all the glory of Beeton’s yesteryears.